Teaching geography can lead to the same monotonous pictures of rivers, plateaus and all the other schist (formations). But, what if we turned our learning into experiencing and exploring? As a teacher of geography, history, and in essence anthropology for 7+ years, I can truly say that my students learn best when they are immersed in the culture and/or places that we study. Yes, it may be a little much to travel to the Sahara and take a camel tour or even charter river boats up the Amazon, but the tools and technology that we have today can help take us one step closer. 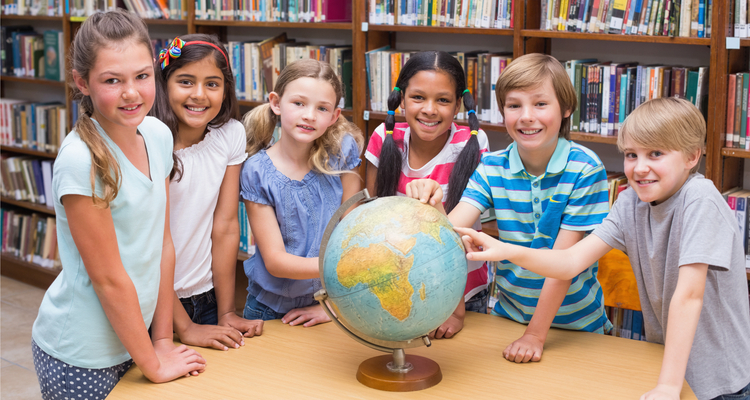 Here are 6 ways to expand your child’s horizons while learning geography. This one is a surefire hit leading into school vacations. Plan a trip to your dream destination: you must prepare an itinerary, and calculate trip costs for one week (food, travel, lodging, etc.). You could also use maps from tourism sites to help guide your research. Where will you go, what will you do, what will you eat? This allows the children to explore the real culture of a city and helps them understand the infrastructure needed to build that community. Create and draw (or build) an imaginary island. Be sure to specify location, landforms, climate of your specific region, longitude and latitude, etc. This can get as in depth as you please, but definitely allows for creativity and learning. In the past, I have had islands such as Licorice Land, Minecraft Mountain, and many other fun and original ideas. Geoguessr: A game that has a google street view image of someplace in the world, you are to pin a place on the map where you think the picture has been taken. You are to use clues from surrounding areas, climate, signs/languages, etc. It can be difficult, but also a great way to explore different places around the world. SmartyPins: A fun game that includes geography and pop culture alike. You are allotted 1000 miles at the beginning of the game and need to place pins as close to the clue as possible. You play until you run out of “miles”. Exact answers give you bonus points which can be added to your mile limit. It is an extremely addicting game and can keep you occupied for hours even if you are not as up-to-date on pop culture or history. Why would our ancestors move here? What was this region’s draw in the 1800’s? How do you think they were able to survive and develop the area to meet their needs? Once you have answered some of these questions, come back together and create a pamphlet or brochure to draw people to this site (imagine it was the year 1800), what would people want/need to move here? This a time to not only add historical context but allow for creativity and reasoning on how/why people migrated to this specific location. Most children have a favorite song or group that you’ve listened to tirelessly, but have you ever thought of learning about the artist and where they are from? Many artists draw inspiration from their culture and/or surroundings. Dive deeper into your child’s favorites by researching hometowns and or countries. This can also be a great introduction to music from the same region or different parts of the world. What’s your favorite way to teach geography? Let us know in the comments! 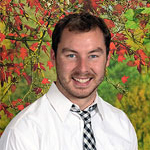 Davis Turner is a 5th and 6th-grade teacher who loves to help students learn about the world around them. He graduated from Western Michigan University in Kalamazoo, Michigan, with a B.S. in Elementary Education. After 7 years as a teacher with a variety of different populations, cultures, and values, he has emerged a much more compassionate teacher, and now works to educate students on the value of cultural differences. He lives in Colorado with his wife Tessa and son Henrijs. Did you know that in Japan, school starts in April? Learn more fun facts and how to say school in different languages! Too cool for school? Think again! These schools from around the world inspire creativity with their unique architecture and design. 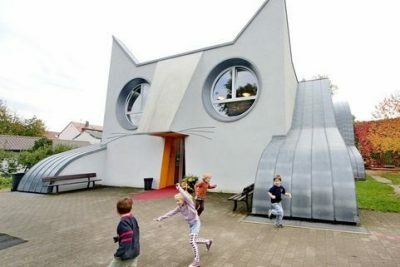 With classrooms that float to ones built inside a giant cat, these schools deserve an A+ in ingenuity.